Enjoy browsing our site – we look forward to hearing from you. Suntreckers is a naturist caravanning and camping club with a nationwide and European membership. 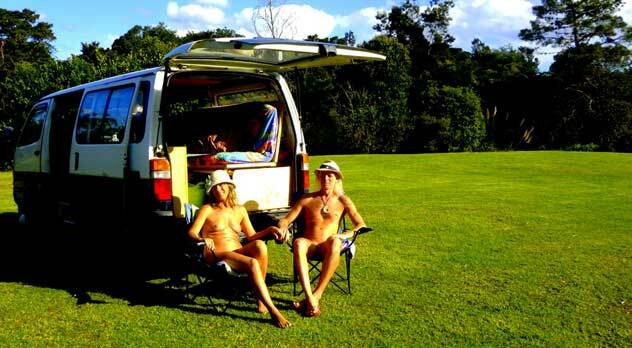 Our purpose in life is to combine the freedom of camping and caravanning with social naturism. We hold rallies across the country at naturist clubs with full facilities, commercial naturist campsites, and under the terms of our Natural England exemption certificate, on suitable farm sites and private estates. Membership is open to all. However, you must own or have the use of a caravan, motor caravan, tent, or trailer tent. Some locations require that you have your own toilet facilities. Suntreckers is run by members, for members. The national committee are volunteers elected at the AGM. Whether you are seasoned naturists or ‘first-timers’ we only require that you have a full and genuine commitment to naturism. We are affiliated to British Naturism (BN), the organisation which represents the interests of all Naturists in the UK. Why not Join today? click here to view and download a membership application form.